1. Zombies are, so far, an analogy for over-consumption. We don’t have to worry about zombies, we’re killing ourselves off quite effectively. 2. 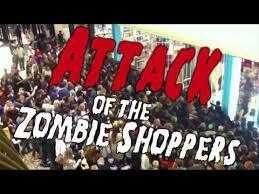 Zombies seem relentless, but have no ambition, sort of like teens at a mall. 3. Zombie genre is hyper-focused on what zombies would do to humans. Not much about what nature would do to these walking smorgasbords. Nature doesn’t need fresh meat, many love decaying flesh. First the blowflies, flesh flies and maggots. Also, vultures, burying beetles, lions, wolves, dogs, eagles, hawks, coyotes, crows, raccoons, tigers, hyenas, etc. And cockroaches – they can live up to a week without a head, can’t say the same for zombies. 4. They’re dead and only getting deader. Weather, nature, and decomposition works wonders on the complexion and can make the average zombie into a sticky puddle of botox-won’t-help-that-sweetie-mess in no time. 5. Think of the zombie apocalypse as a Home Alone movie, but with zombies instead of inept burglars. They can’t strategize, they’re easily tricked, they don’t notice traps. Try sandbags, fences, walls, doors, boarded up windows, spikes, barbed wire, fire, or maybe even marbles, icy stairs, hot door knobs, paint cans, etc. would work. 6. No one really explains how zombies overcome the military. 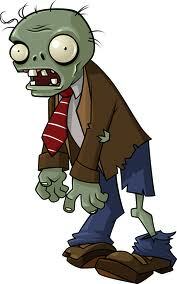 Zombies move toward armies, have no defenses, don’t retreat. This doesn’t even work as a Risk game. 7. As free-range humans become more scarce so would the food source; we’re just not that reliable. Also, we fight back. 8. Humans could get to islands, fortified or remote locations, and structures to wait until the zombies decompose. 9. Humans generally know more about survival now, ie. Water purification tabs, weapons, decoy camps, Dakota fire pits, how to purify urine to drink it, making a stove out of a soda can, etc. 10. I think Nerds will save us. They have special skills, right? Video games have taught them survival skills, including using a sniper riffle, crossbow, etc. Most already exist on processed foods. They’re used to staying up for days on end, they’re patient, and they don’t feel the need for a companionship. Also, they can figure out a way to start getting power back on, etc. They can read maps, are used to quests, and really, it’s as though they’ve been training for an apocalyptic event since the first time their hands touched a controller. Let’s hope these video game skills translate into life skills, wait, maybe I shouldn’t pin too much hope on this. I just hope if the zombie apocalypse happens they’re the slow zombies, not the fast ones. I think I can survive the slow, shuffling ones, but those fast ones, not so much.